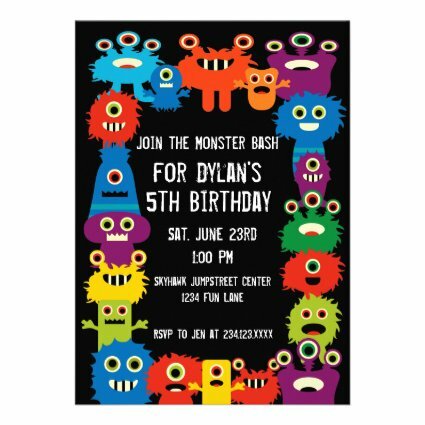 A cute collage of colorful monsters announce this monster birthday bash party on this kids party invitation. The back of the invitation says "Monster Birthday Bash" and features the same cute creatures as well as the child's age. Customize these kids birthday party invitations using an easy fill in the blank template provided. Or you can go wild with the font colors and styles and move things around by using the "Customize It" button.